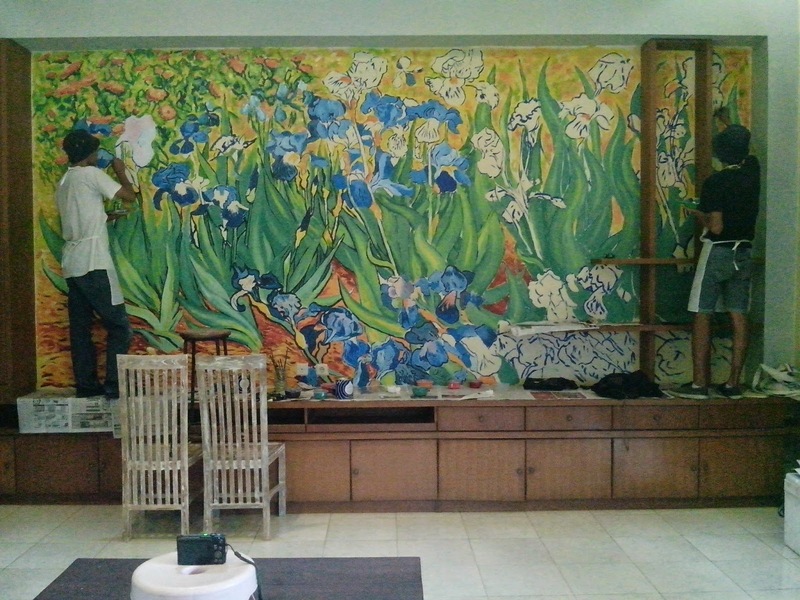 Here is one of artworks from Jogja Painting. 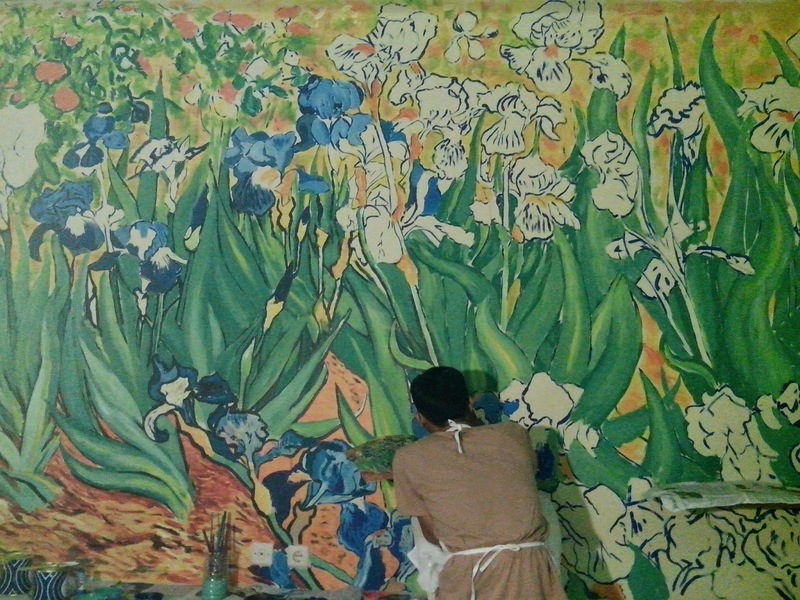 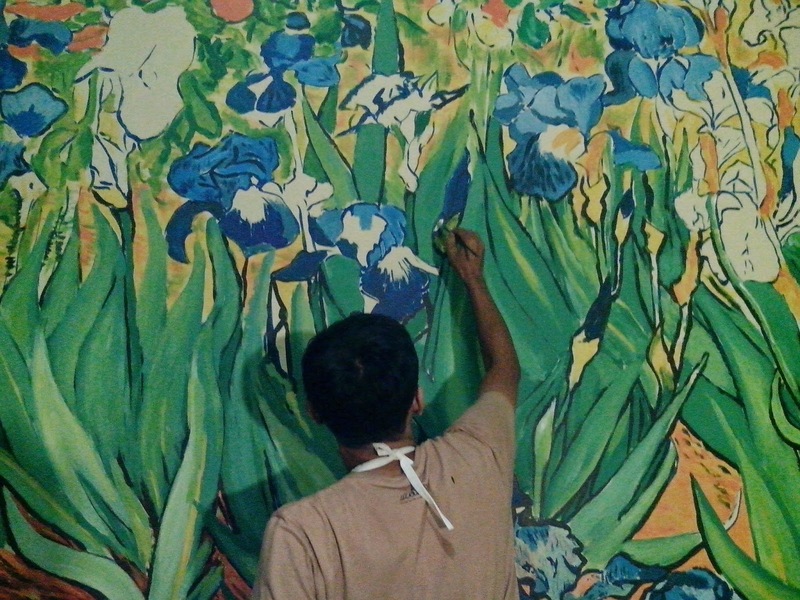 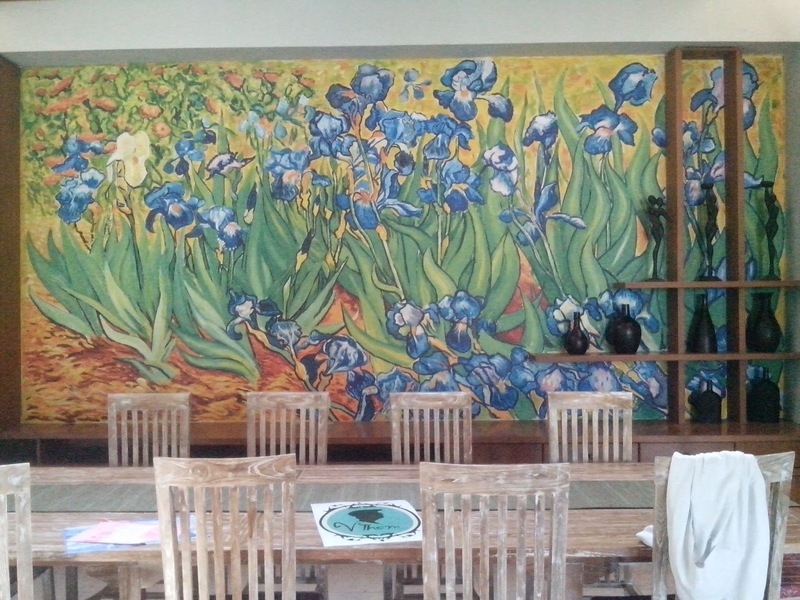 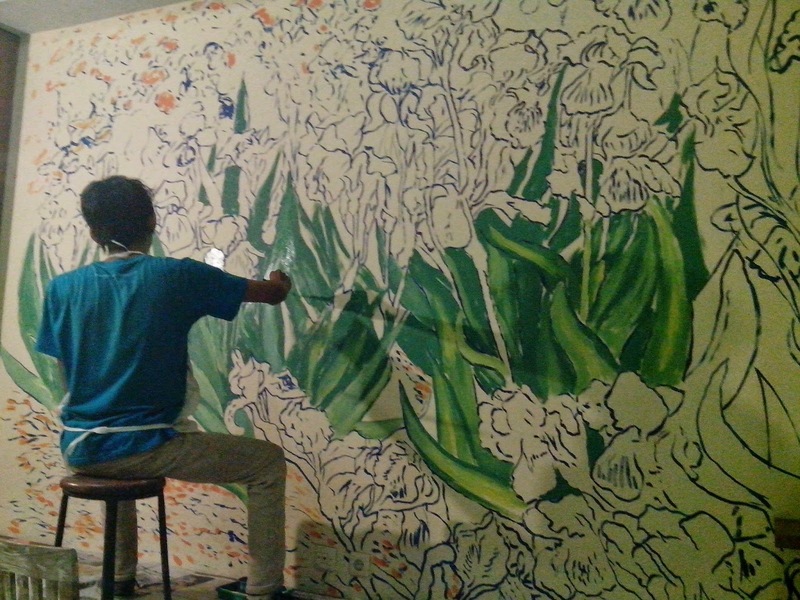 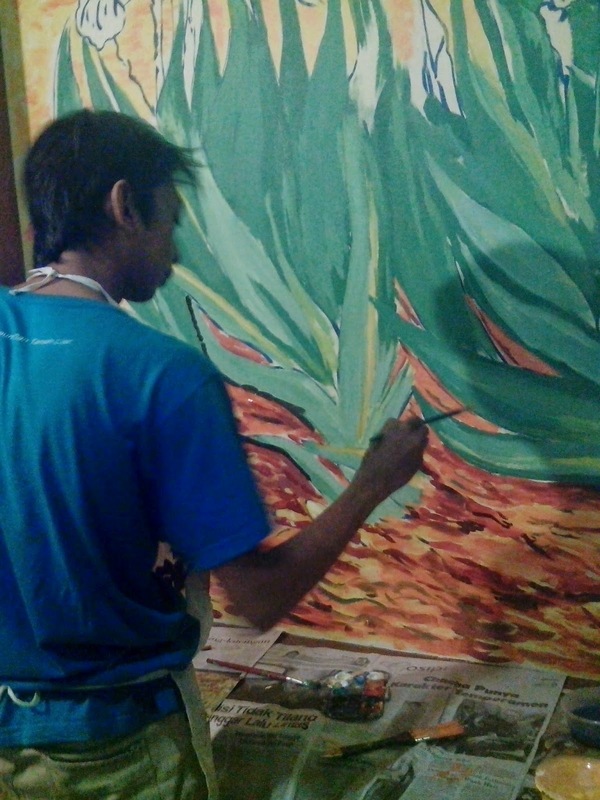 Located in V Thom Cafe, this mural is inspired by Vincent Van Gogh’s painting, Iris. 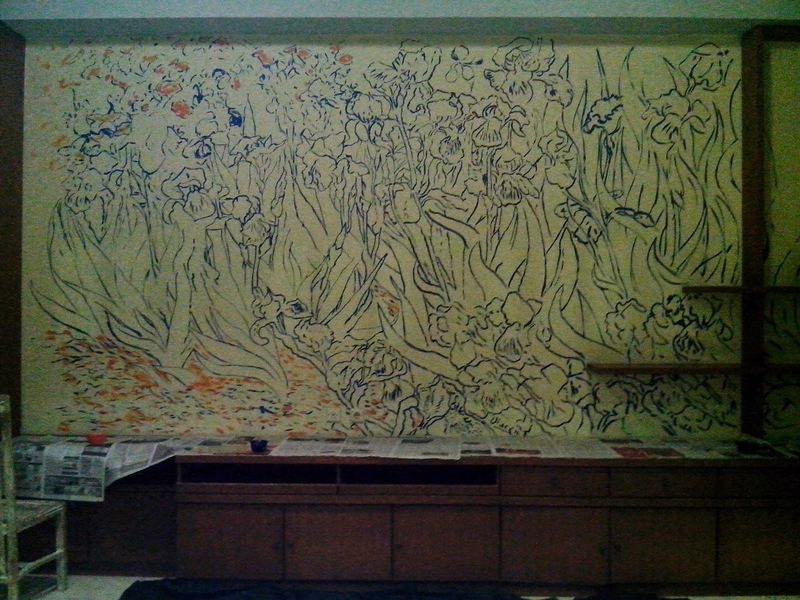 Thousands of colorful scratches made this wall painting. 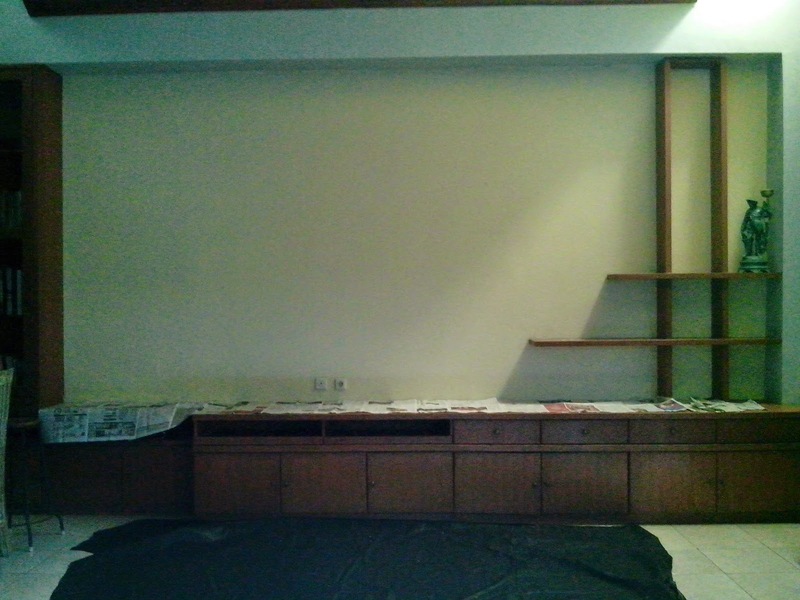 It took us around 2 days to finish this project.